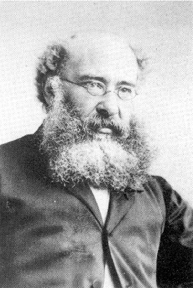 I didn’t plan the starting point of this blog to be Trollope. I thought I would start with the American master, Robert Penn Warren. But I happen to be reading Phineas Finn, and I feel as though I can hear Trollop, swirling his glass of brandy, wheezing out bon mots that are so strangely relevant. Senator Olympia Snowe announced her retirement from the Senate this past week, citing the rising partisanship in Congress. I have the highest respect for the good Senator. However, let’s see what Trollope had to say about partisanship back in 1869. I know if you want to you can click on the free book for your kindle, or go to Wikipedia or similar and find out the background if you want, but the odds are, you might not have the time or patience to wade through the delicious political pudding of Trollope. We are not used to his way of storytelling today, but I like it. Phineas Finn has finished college and is working on his law degree. He has no money of his own, and won’t for some time as he sets up a new law practice. His father is a prosperous doctor, who reluctantly gives him a modest allowance. With these limited prospects, some of Finn’s acquaintances want him to make a run for a seat in parliament. At that time, Members didn’t receive a salary, by the way, making it that much more absurd for Finn to attempt. A member’s vote, — except on some small crotchety open question thrown out for the amusement of crotchety members, –was due to the leader of that member’s party. Such was Mr. Erle’s idea of the English system of Parliament, and, lending semi-official assistance as he did frequently to the introduction of candidates into the House, he was naturally anxious that his candidates should be candidates after his own heart. When, therefore, Phineas Finn, talked of measures and not men, Barrington Erle turned away in open disgust. But he remembered the youth and extreme rawness of the lad and he remembered also the careers of the other men. Trollope weaves this theme through many pages but you get the idea: It turns out we didn’t become partisan monsters recently. The conflict between and individual and party has a long history and isn’t likely to be resolved –not in a democracy.